Found this at deviantart.com ~ artist, toiabates. Hey Amy, left you an award on my blog. 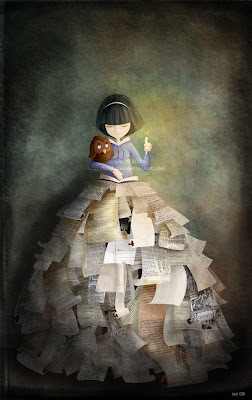 I love this piece, if i could I would probably wear clothing made up of book pages as well. Cute! That looks like my 8 year old daughter!